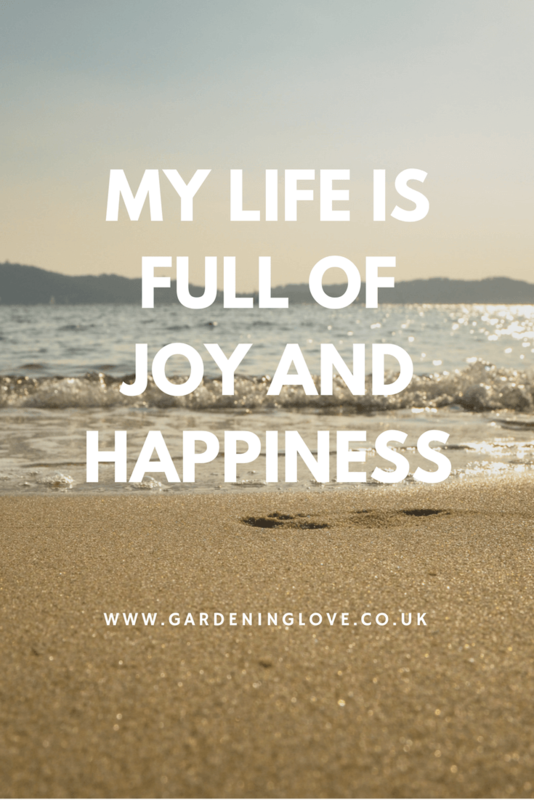 Affirmations ……. what’s the heck are those ??? Ok so it requires you have an open mind here, but its nothing too far out there I promise. First lets go over some background…. In this day and age we are our own worst enemies. We are critical of ourselves and beat ourselves up over the smallest things. Often the mental chatter we speak to ourselves is very cruel, and if we are honest we wouldn’t dream of talking like that to another human being. The only time you would probably be so spiteful and cruel with your words to another would be in extreme situations. Why are we so hurtful to our own selves? Are we critical so that we can get in there first and deal the first blow? If we critique our selves before someone beats us too it, will it hurt less? If someone were to walk up to you and hurl abuse at you, you would be upset. Horrified that someone could think such negative thoughts about you. Am I right ? The truth is, how can we expect others to be kind to us, to believe in us and respect us when more often than not, we struggle to be kind to ourselves? If we were to break those thoughts down, Some will be memories. Some will be things you need to remember for the future. Some thoughts will make you laugh and some will make you cry. If we could sieve through them all though, I wonder just how many of those thoughts are actually positive or negative. We as humans put a lot of emphasis on ‘the truth’ it is something that we as individuals believe in. More often than not, when someone compliments us for whatever reason, we tend to dismiss it. We think they don’t mean what they are saying, that they are trying to make us feel better. If you can’t listen to what another person is telling you and accept their positive words, then maybe that’s because you don’t believe them to be true yourself? It all starts within you and it will take a lot of practice and hard work, but as the advert says ……..”your worth it” !!! In other words, talking positively to yourself. Reminding or even discovering how amazing you truly are. It’s about kicking your own arse and being your own best friend. Replacing a negative thought with a positive statement. A statement is a fact, it is the truth. How can I use affirmations ? I’m not gonna lie here, it’s going to take time and effort to correct all that negative mental chatter you have going on upstairs. You have to replace your negativity with positive affirmations. This is something I still work on daily, so I guess you could say writing this post will benefit me also. Now we have established what an affirmation is, a positive statement we believe to be true. We need to find a way of using positive affirmations in our daily life. There are many areas that affirmations can help your daily life and give you a positive mental boost. It is possible to target affirmations to your career, confidence, health, ability or any other area you feel you need to target with positivity. Seen as though your probably just starting out on this journey, we shall keep things general for now. 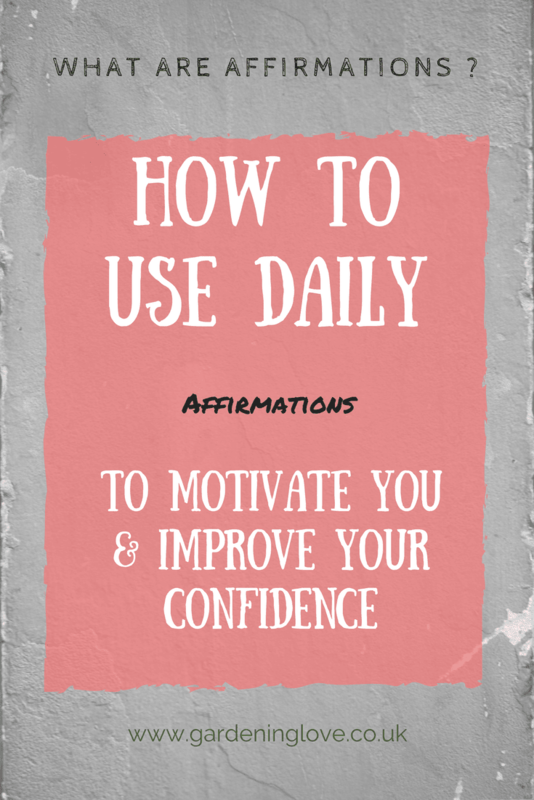 Further down I will list some positive daily affirmations that you can practice using, just so you can get the hang of it. There are many ways you can try this, it’s all about trial and error. Find what works best for you and what you feel most comfortable doing. Give yourself a good talking to ! For the most part, affirmations work best when said out loud. Now I know it sounds cringe worthy and will be awkward the first few times you try this but I recommend giving it a go. You will probably want to be alone for this, on a morning as part of your routine start by repeating a few key phrases. These are the affirmations, the words which will empower you and help you face the day ahead with more conviction. Try looking in the mirror, right into your eyes. As you repeat the affirmation really focus on the connection you are making with yourself in that moment. It’s not enough to just mumble the words and repeat them half heartedly, you need to mean what your saying. Talk to yourself the way you would do a friend in need. Believe in the statement you are making. Like I say this isn’t going to be an overnight success, you have to practice. In time you will find it easier to look yourself in the eye and repeat these powerful affirmations over and over. You will start to treat yourself with the respect that you deserve and will in time accept no less from other people who talk to you. As well as saying them to yourself in the mirror, find a time of the day that suits you, to focus on your affirmations. Maybe there is a particular time of day where you need a boost, your lunch break perhaps ? In the bathroom or maybe in the car. You could write them down on flash cards as prompts throughout the day. Place the cards in places you will clearly see them. They will remind you to invest some time in repeating your chosen positive phrases. Remember, practice makes perfect. It will take a bit of time to feel comfortable with affirmations, but once you have broken your self consciousness you will start to benefit. 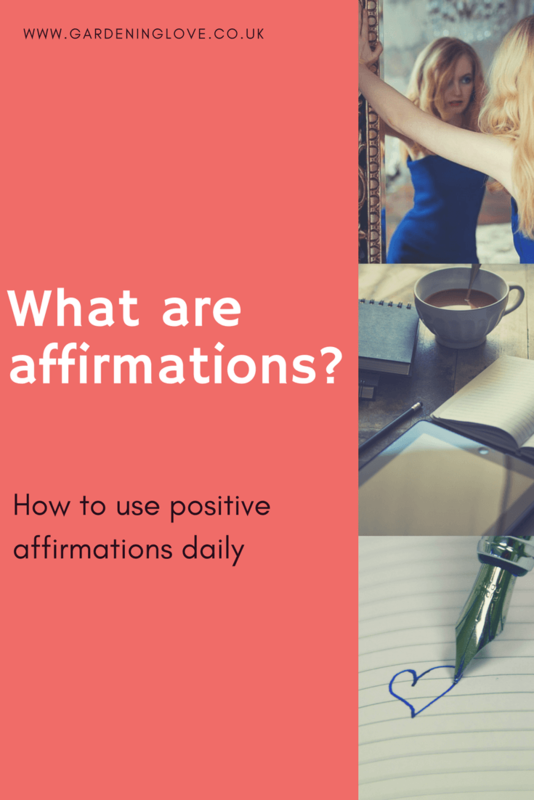 Have you used affirmations before ? Do you have any advice you could share below for people just starting out. We certainly do Jennifer ! These are beautiful affirmations and we all need reminders to be kind to ourselves.